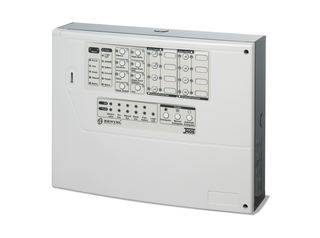 Designed and made according to EN54 and EN12094-1 standards (with J400-EXT extinguishment module), the J408 is a microprocessor based control panel for small to medium applications. Each detection zone has an alarm-repeat output for selective management in the event of fire. The control panel has supervised, silenceable alarm-outputs for self-powered sirens, piezoelectric sirens, fire bells, flashers, telephone diallers, etc.